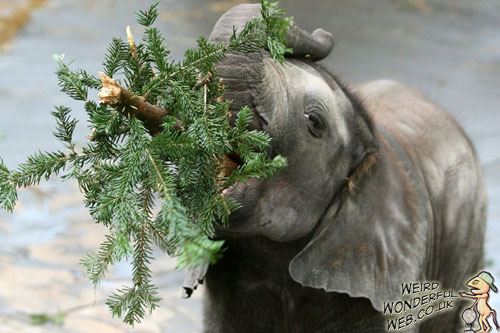 Weird Wonderful Web: Elephants have tree-mendous Christmas dinner! 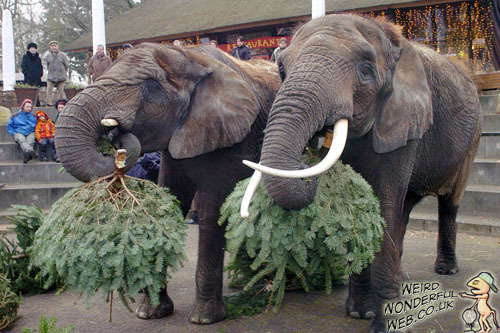 The elephants in German zoos enjoy left over Christmas trees. 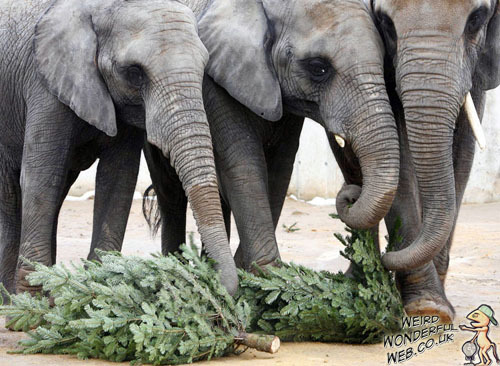 What happens to all the Christmas trees that do not get sold? Run through the chipper and recycled yes? Well that may be so in most places but in Germany they have a very interesting and let's face it cute way of dealing with their unsold trees. 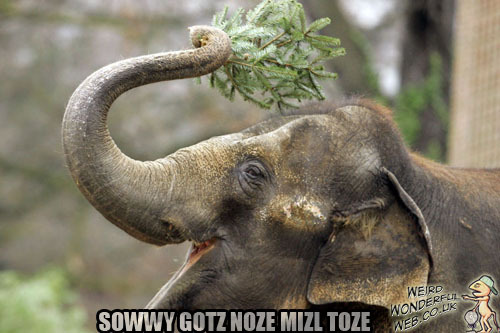 Apparently it has become a tradition in Germany now for market traders to pass on their unsold Christmas trees to local zoos. 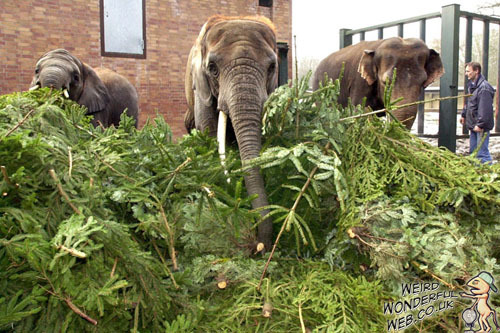 As the zoos use the trees to supplement the diet of their elephants. 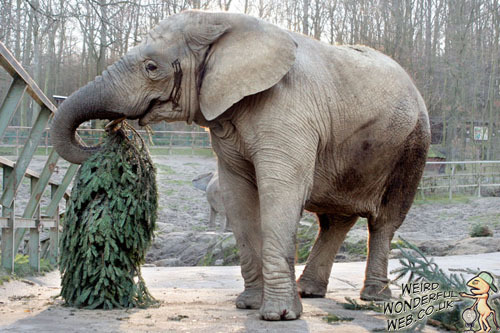 "Elephants like to eat wood, it's important for their digestion because it gives them roughage, especially in winter when there aren't many leaves on the trees"